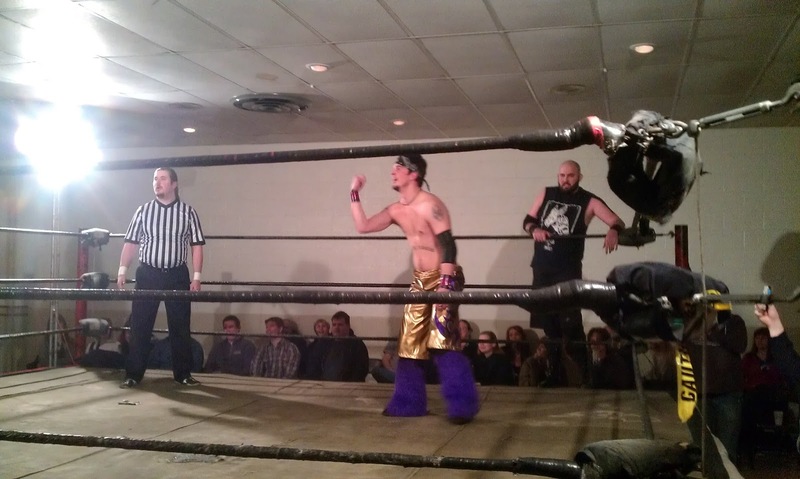 South City Hoosier: Why aren't you supporting live wrestling? Why aren't you supporting live wrestling? Seriously, I've been going to more local wrestling events and it is fantastic. You can get hammered for cheap on Busch products and watch spandex clad dudes throw each other around. What you can't see is the Save Ferris tattoo across his "abs". Now, I'm basing this on being someone who finds the pro wrestling on TV to be annoying and full of assholes talking about nothing and give you very little action. When you go to a Knights of Columbus in Alton Illinois, pay fourteen bucks to get in and a dollar per beer, you are going to have more fun than you know what to do with. Seriously, I got four hours of fun and entertainment this weekend and managed to keep it to budget. There are plenty of places you can see these guys (and girls!) go at it in the squared circle. 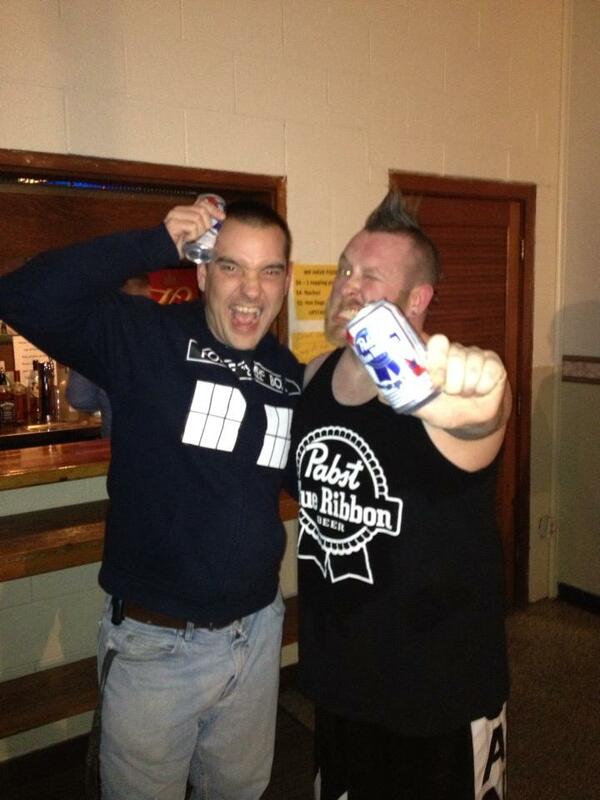 First off is to check St. Louis Anarchy Wrestling for times. Second is to check the St. Louis Wrestling website for dates at South Broadway Athletic Club and the East Carondelet Community Center. So now that you have shown up to an event, what should you do? You may need a few drinks your first time to get you in the proper mood, but what you do is you cheer and boo, you yell and holler. It's wrestling and these people want you loud and want you coming back. Best part is the wrestlers are very happy you came out.